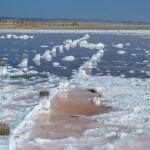 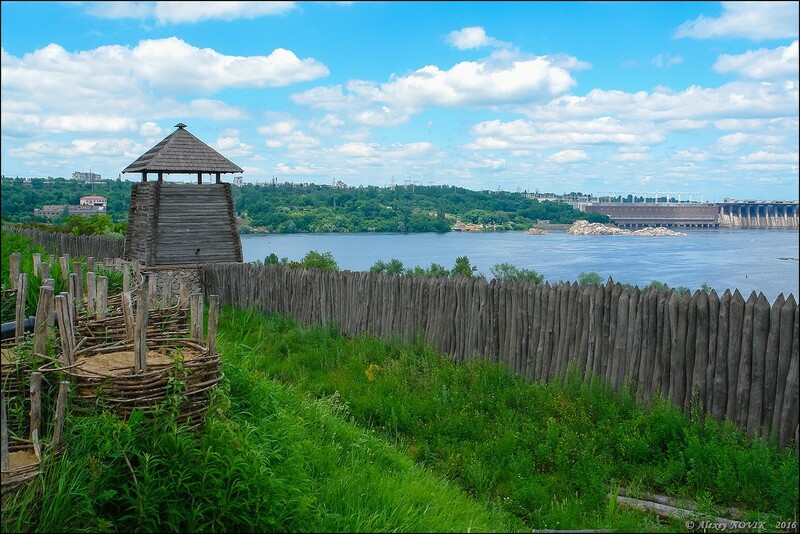 The fortress is enclosed by a moat, a rampart and a log palisade. 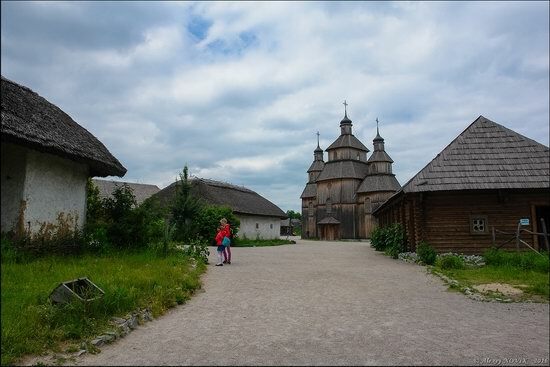 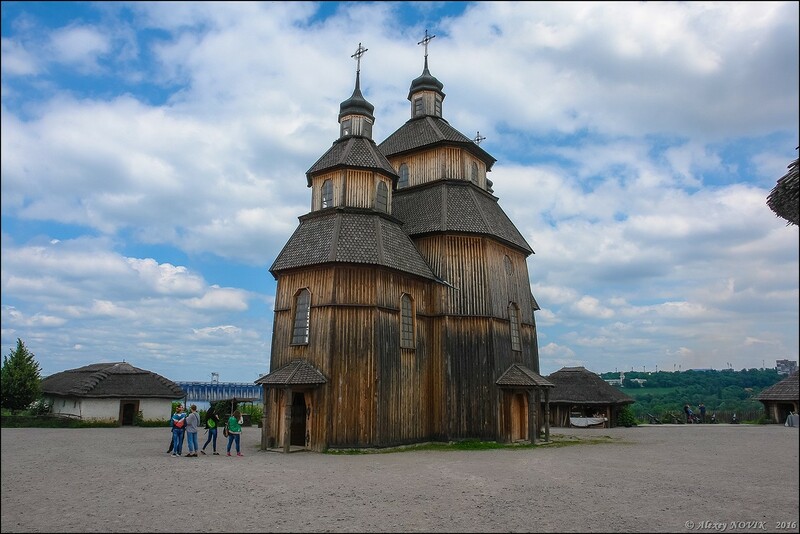 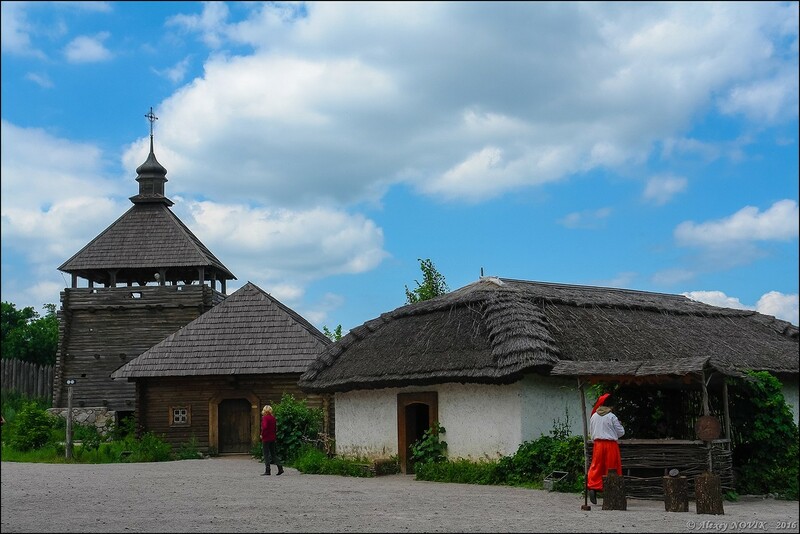 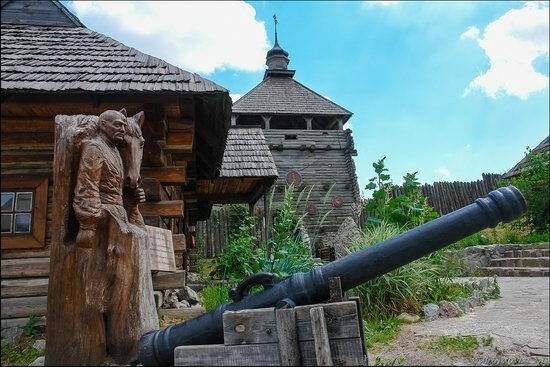 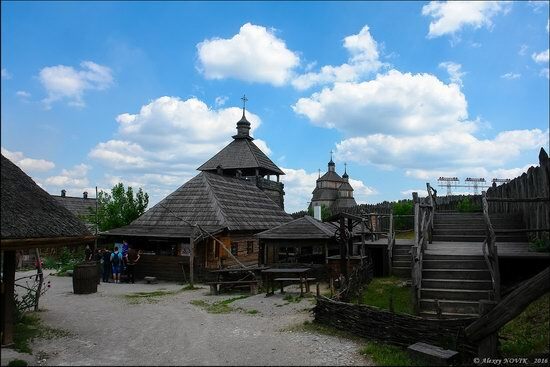 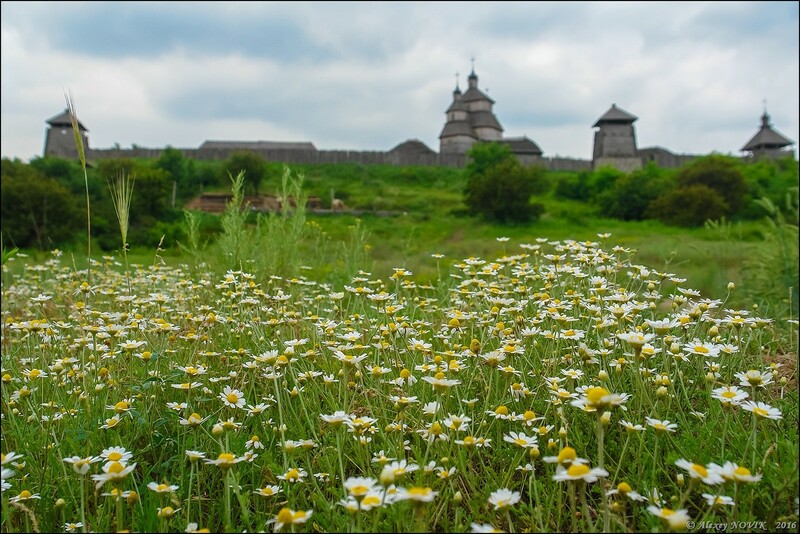 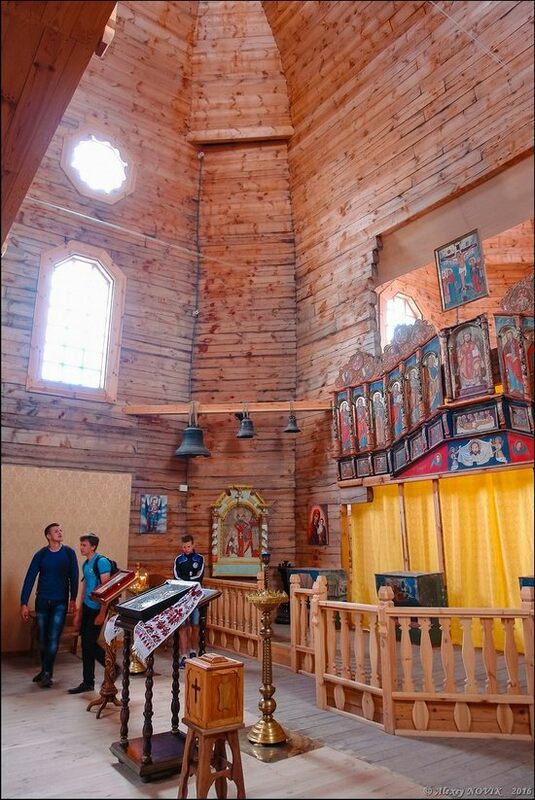 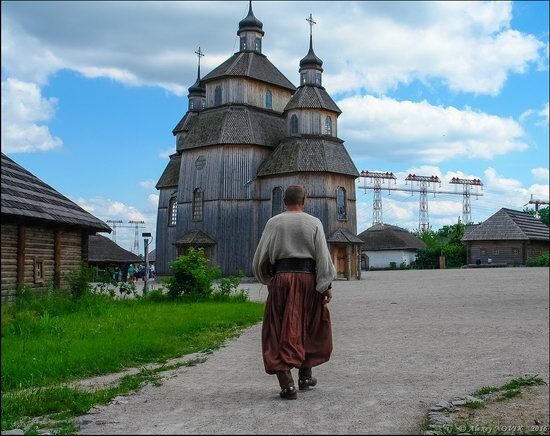 In the center of the fortress you can find a church surrounded by outbuildings and houses. 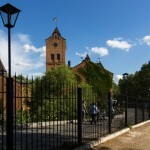 South Tower – the main entrance to the complex. 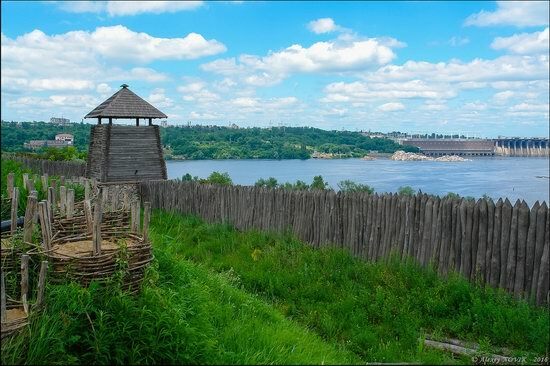 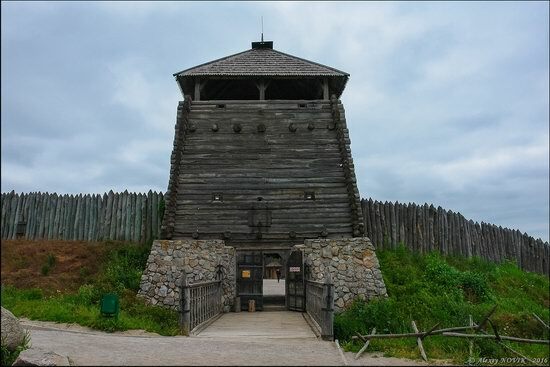 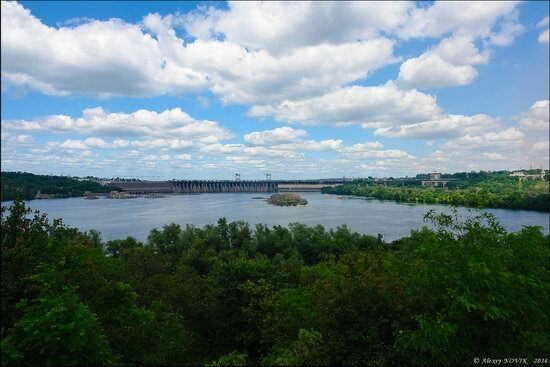 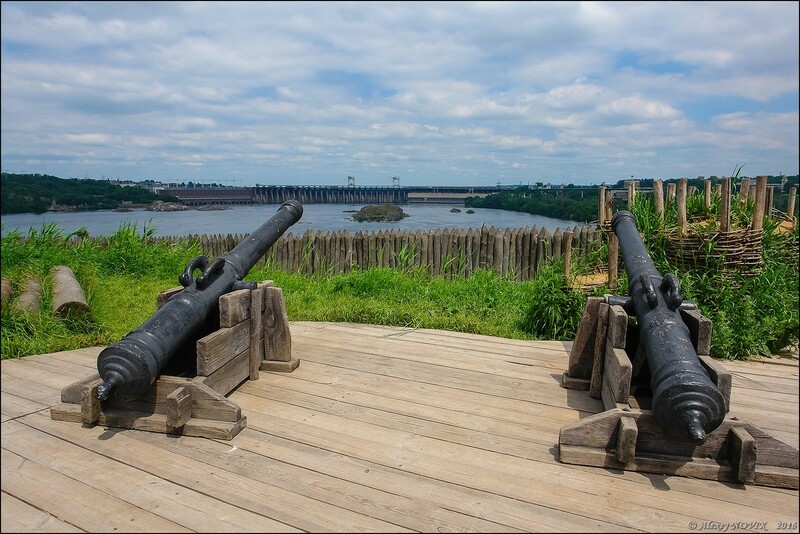 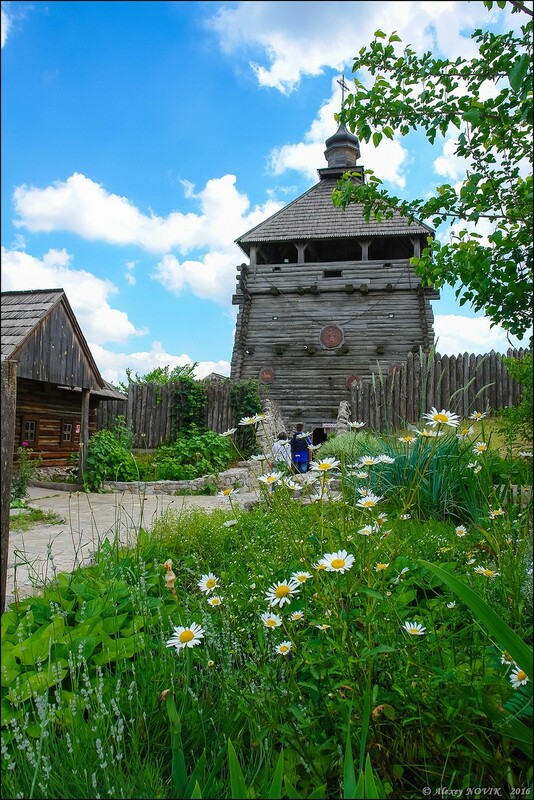 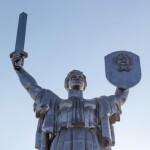 Malaya (Small) Tower in the eastern part and the view of the Dnieper River. 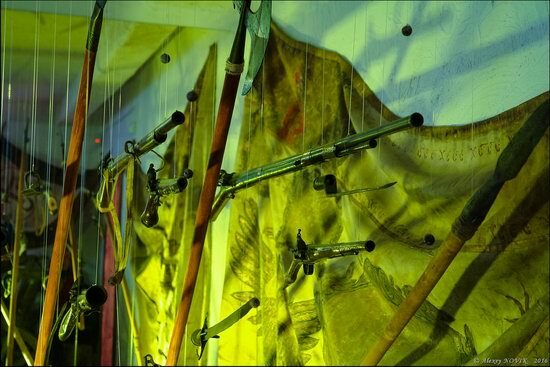 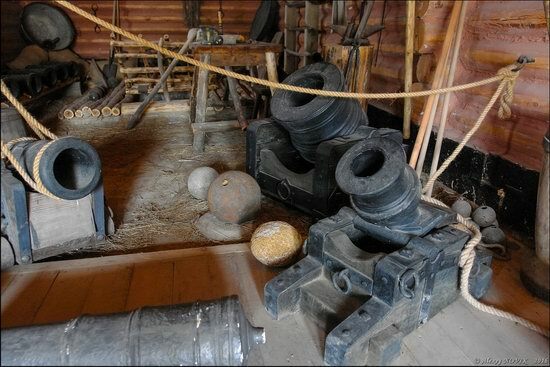 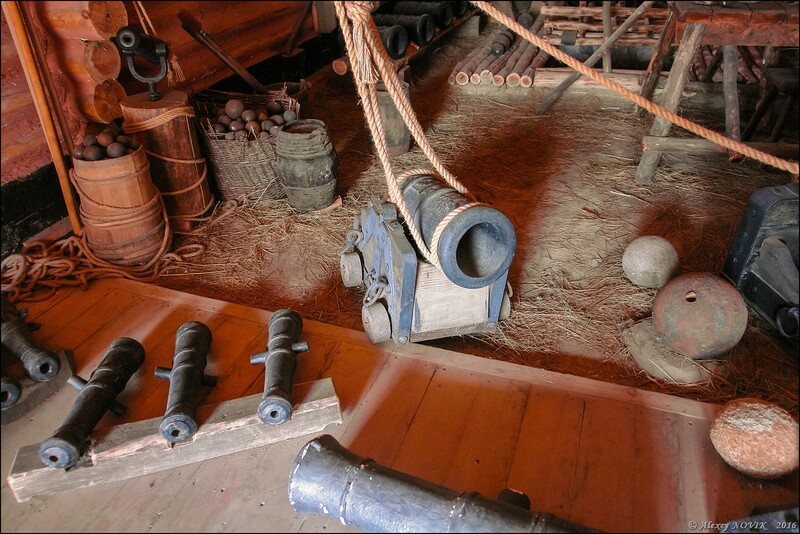 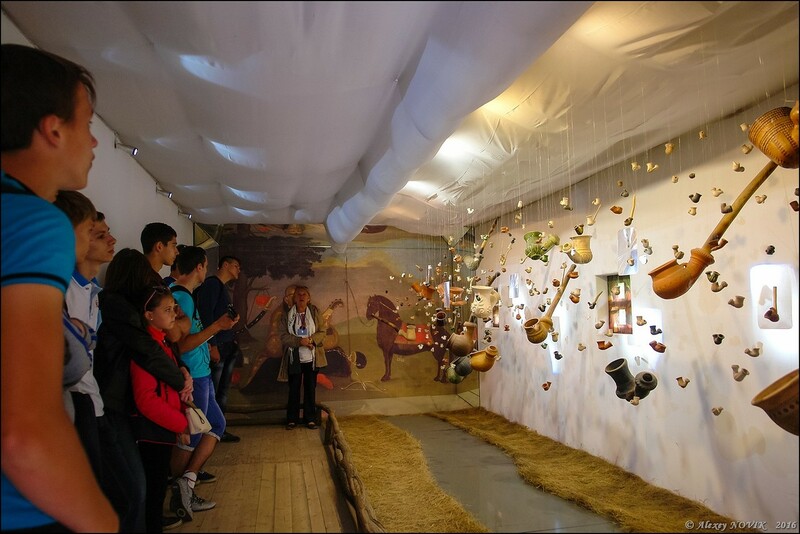 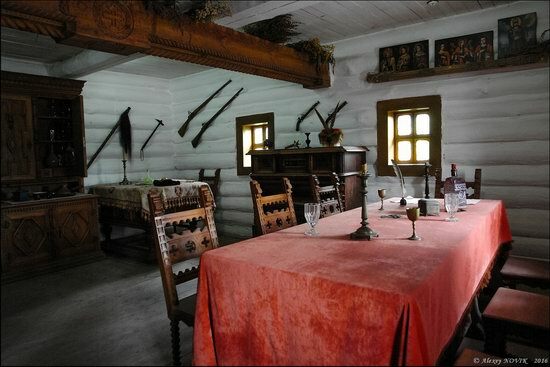 In this house you can find an exhibition called “Cossack pipes”. 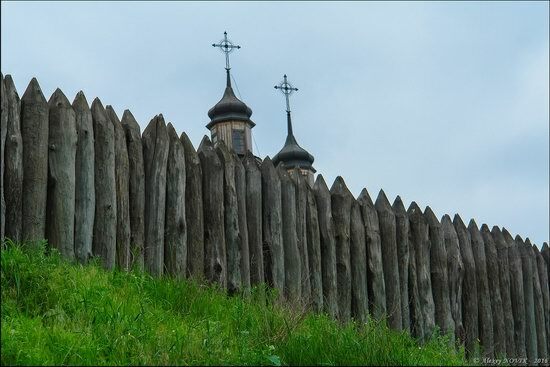 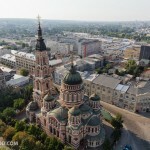 Central Square (Maidan) and the Protection of the Virgin Church. 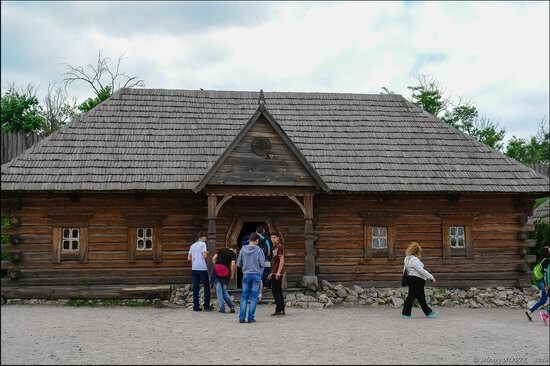 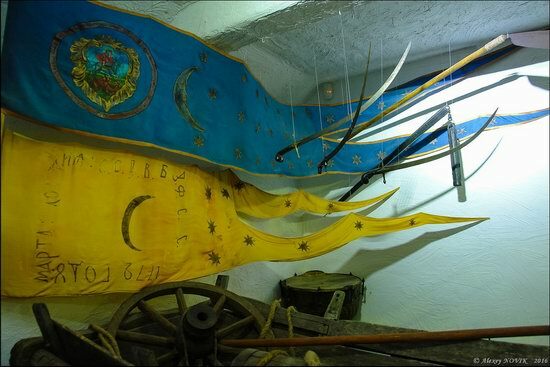 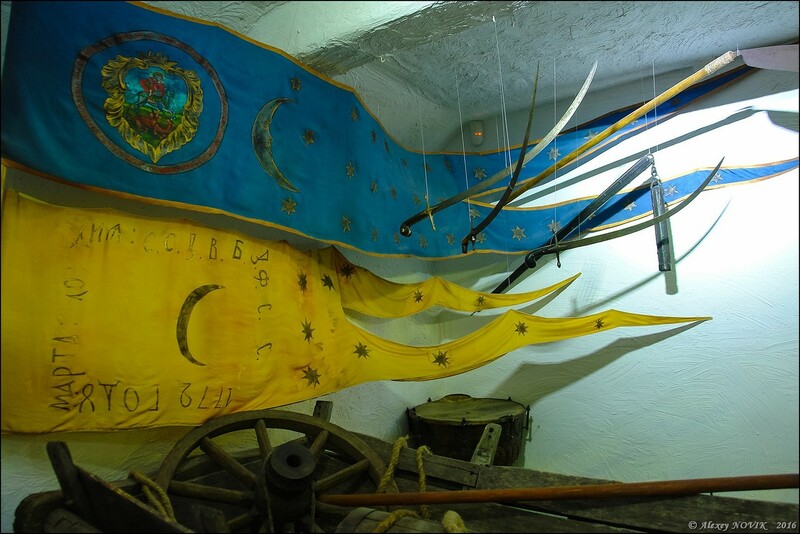 House of Cossack ataman (chieftain). 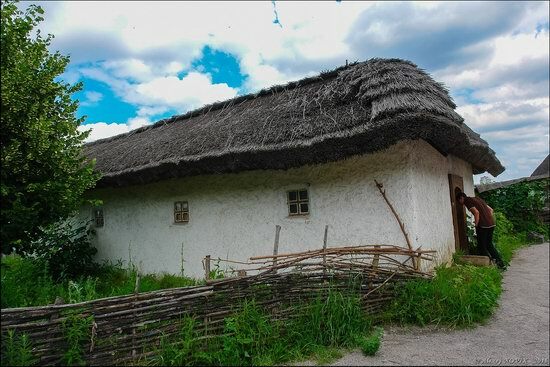 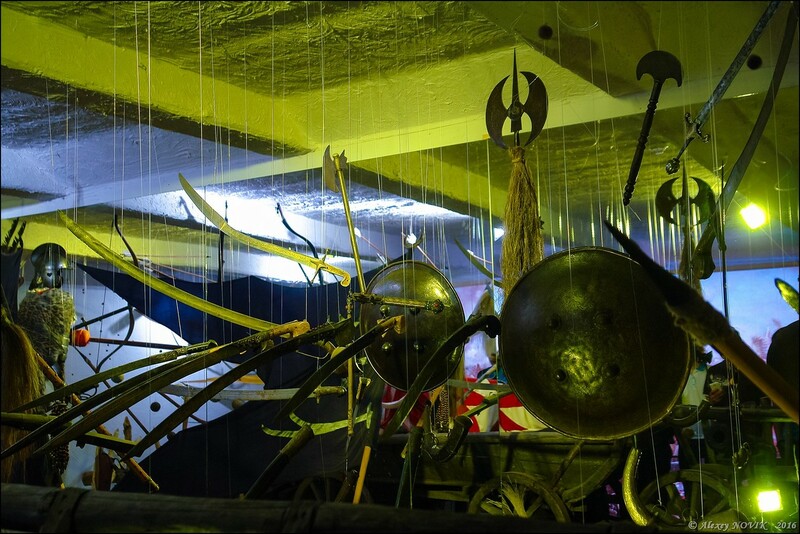 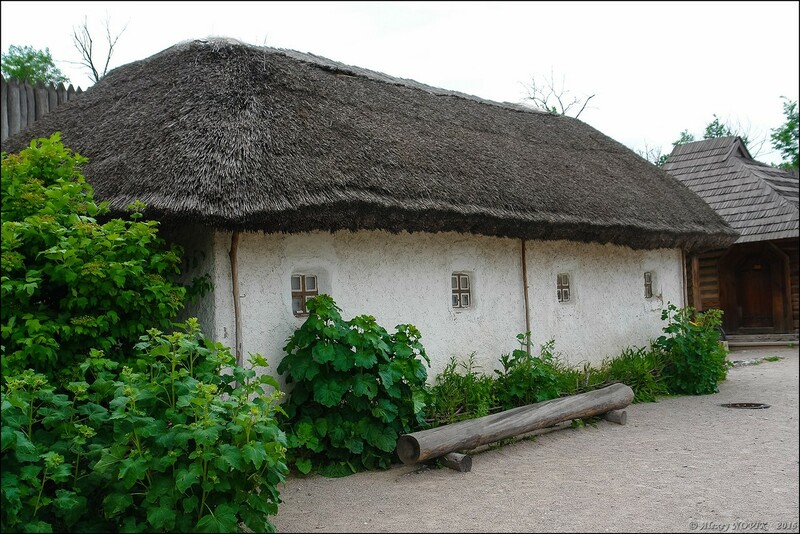 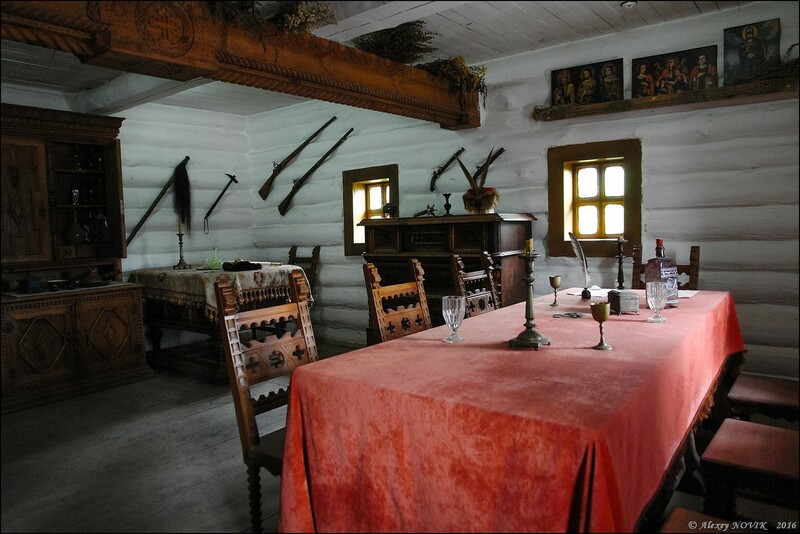 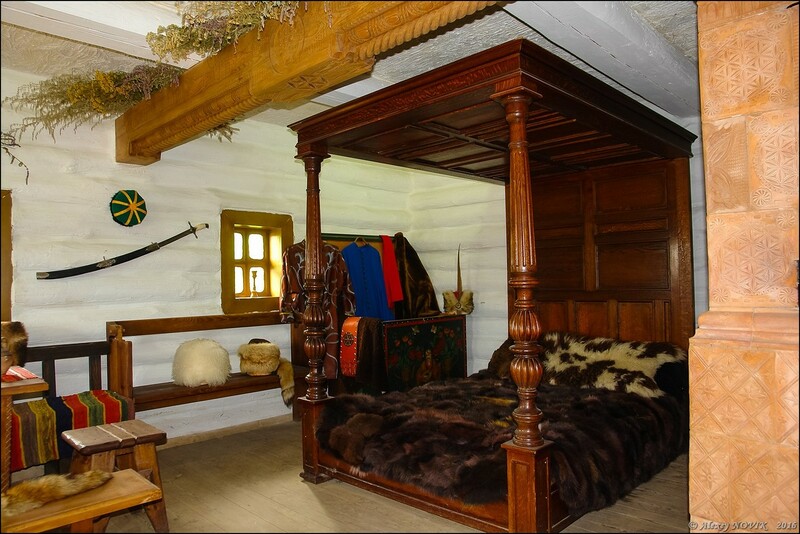 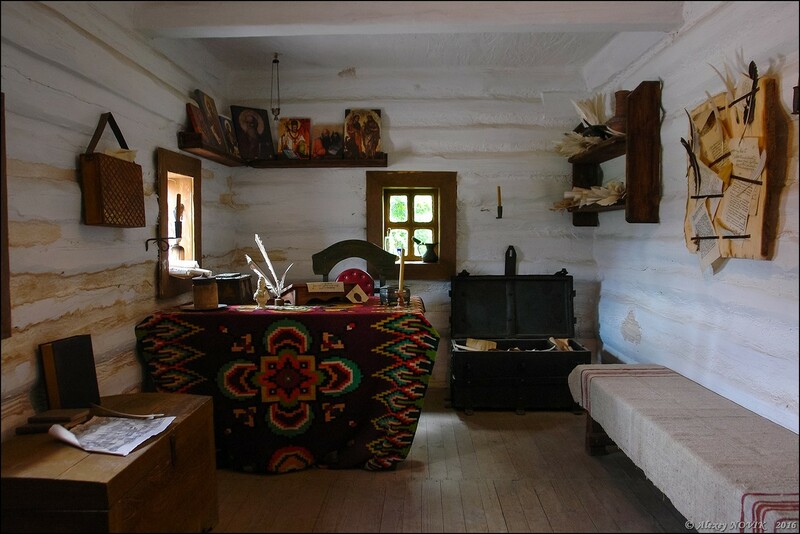 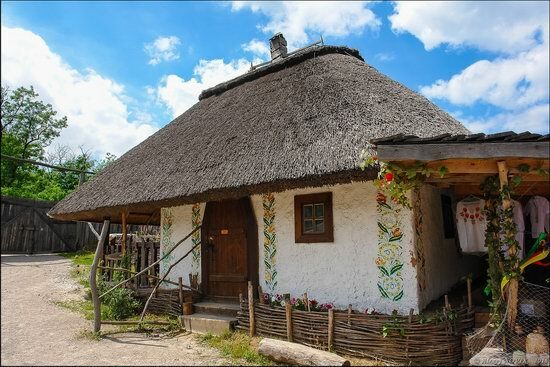 Inside this house you can see an exhibition about the military campaigns of the Cossacks.